The Our Green/Duwamish Team has been very busy during the project’s Listening P hase. The Listening Phase represents the first steps in the three-phase process to develop a watershed strategy for the Green/Duwamish Watershed, connecting many ongoing efforts in a more comprehensive way. The Listening Phase has included focus groups, open houses, and an online survey. The primary goal has been collecting insights from those who know the watershed, gathering contextual information and data for the Green/Duwamish Watershed, and identifying potential actions to be taken to enhance its air, land, and water resources. Focus Groups: The Our Green/Duwamish Team hosted a series of four focus group sessions in June and July. The sessions were an opportunity for the Team to hear from individuals and organizations with Green/Duwamish expertise. The four sessions were organized around the regional challenges identified in the ROSS approach as they relate to this watershed: biodiversity, social equity & human health, climate change, and the economy. The sessions were very informative and the ROSS team heard many recommendations that will be captured in the Preliminary Background Report for the Green/Duwamish Watershed. Thank you very much to those of you who participated! Open Houses: The ROSS team assembled information gleaned from the focus groups and earlier research, and went to the broader community for additional input. 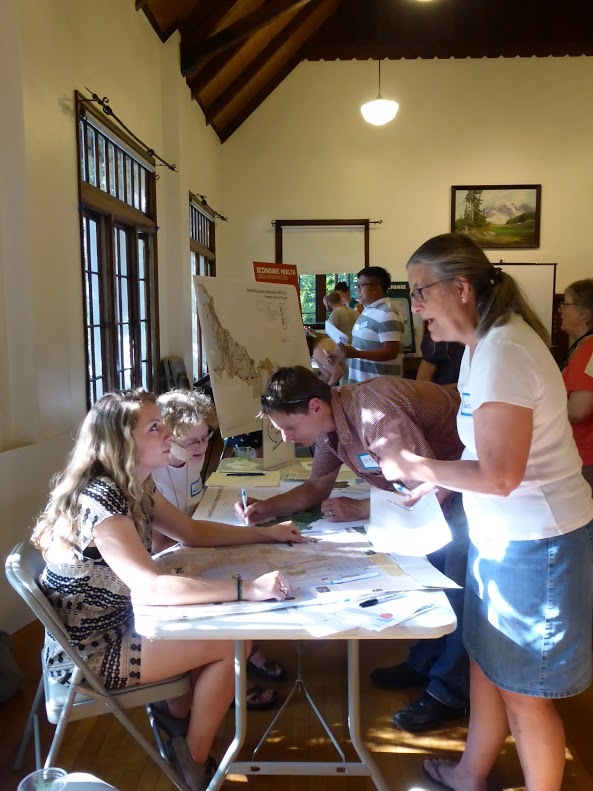 Three sub-watershed-specific open houses were held in June and July to hear the thoughts of those familiar with conditions and concerns across the Green/Duwamish sub-watersheds. The first open house was held at Camp Long in West Seattle on June 30, and focused on the Duwamish Estuary & Nearshore sub-watersheds. 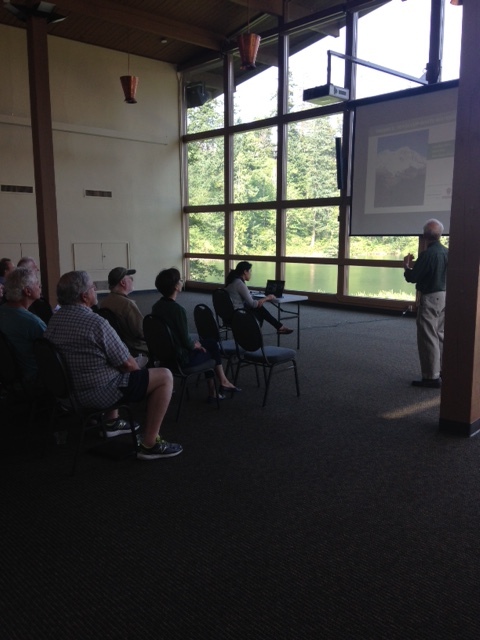 The open house for the Middle and Upper Green sub-watersheds was held on July 8 in Maple Valley at the Lake Wilderness Lodge, and the final open house was held on July 14 at Kent Station, addressing the Lower Green sub-watershed. The events generated great conversations: the ROSS team heard from community leaders, city council members, government agency leaders, and organizational representatives about what they value in the Green/Duwamish sub-watersheds, and about air, land, and water issues seen as pressing concerns. Thank you to Green/Duwamish Watershed Advisory Group members for spreading the word about the open houses, and special thanks to those of you who attended and shared your perspectives and knowledge during some beautiful summer evenings. On-Line Activities: Since July, we have activated several new online tools to support the Green/Duwamish Watershed Strategy. 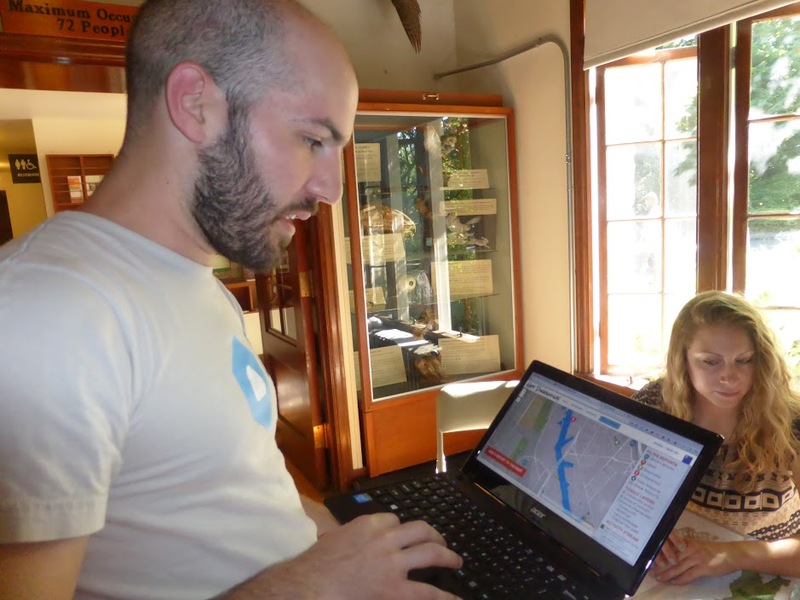 In early July, the Our Green/Duwamish project website went live. The website aims to engage the broader community in the project and to provide news and updates as we work together to develop the watershed strategy. On July 15, an online survey opened, asking participants to comment on the threats and opportunities regarding air, land, and water resources within the Green/Duwamish Watershed. The survey is still active, and we would love to get your input. Many thanks to those who have participated already! Summary Report: The comments, suggestions, and information gathered throughout the Listening Phase will be compiled into a Summary Report of the Key Findings. Stay tuned for this in the months to come. And many thanks to all who continue to work toward a connected and thriving Green/Duwamish Watershed. This entry was posted in Community, Open House and tagged Duwamish River, Green Duwamish, planning, Public meetings, ROSS, WRIA. Bookmark the permalink.